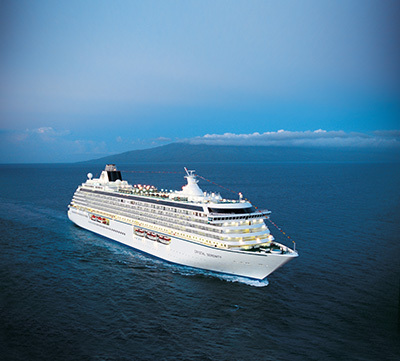 Crystal Cruises has unveiled its 2022 Full World Cruise aboard the Crystal Serenity, a singular circumnavigation featuring five embarkation and disembarkation choices ranging from 86 to 116 nights, each option offering World Cruise benefits. The “Myths, Marvels & Monuments: A Cultural Mosaic” voyage marks the line’s 27th annual World Cruise, exploring the Panama Canal; Hawaii, Tonga and Samoa; Australia and New Zealand; Indonesia and Sri Lanka; Egypt, Israel and the Black Sea; Greece and the French Riviera. “Crystal’s 2022 World Cruise again ups the ante of luxury exploration, a true full-circle global odyssey with a focus on choices,” said Carmen Roig, Crystal’s senior vice president, marketing and sales. “A Full World Cruise with Crystal is the journey of a lifetime, and we believe it should be exactly what our guests want it to be. Multiple options to join or leave the ship in Miami, Los Angeles or Monte Carlo make it possible for guests to plan their air travel and calendars on very personal terms, and numerous opportunities to connect with the facets of the destinations that are most meaningful to them make it a truly personal experience. Fascinating Trans-Atlantic route exploring Gibraltar and the famed limestone St. Michael’s Cave, the military bastions of Cartagena, Spain and Ponta Delgada in the Azores. Itinerary options range from 82 to 116 nights in length, with guests able to choose to sail round-trip from Miami or Los Angeles (116 nights); from Miami to Monte Carlo (102 nights); Los Angeles to Monte Carlo (100 nights) or Los Angeles to Miami (86 nights). Each of the Full World Cruise options include two complimentary private transfers between port city airport and the ship; a gala event ashore; exclusively themed onboard events; special gifts; “As You Wish” shipboard spending credits; and fare savings for early booking and Crystal Society. A new deposit policy offers 15% reduced deposit requirement for any Full World Cruise guests also deposited on Crystal’s 2020 and/or 2021 Full World Cruises. Bookings are now open for previous, current, and future Full World Cruise guests; bookings open to the public on 10APR, 2019.